"It was as bad as things can get"
No Man's Sky is a far different game now than when it first launched on PS4 almost two years ago, but that initial release was met with an incredibly mixed response. 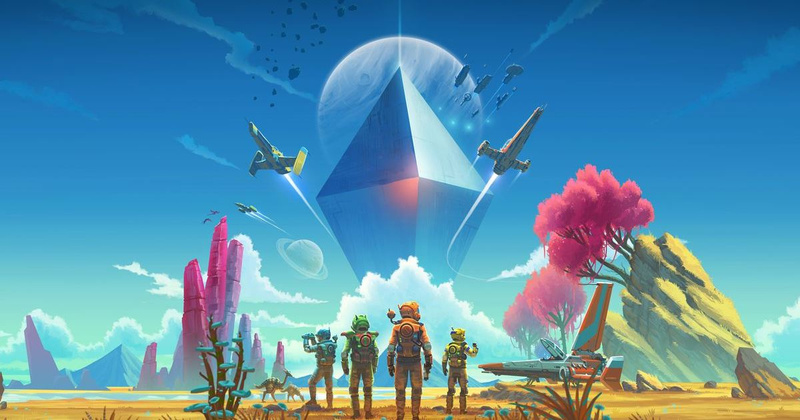 Many were furious, because features that Hello Games' Sean Murray spoke about during interviews were missing, but it didn't end at simple complaints. Murray and many members of the studio were subjected to death threats and worse over the months that would follow. The upcoming Next update finally brings full blown multiplayer to the game, one of the major features many were expecting in the first place. Ahead of the release of Next on the 24th July, Murray has been interviewed for the first time in years, and he speaks about all the controversy. In an interview with The Guardian, Murray says he regrets a lot of what he said in the lead up to the game's launch. "The internet is really good at knowing when somebody has made a mistake. It’s not necessarily the best at determining the most appropriate response, but it’s really good at knowing when somebody has messed something up. We definitely messed up a whole bunch of communication. I’ve never liked talking to the press. I didn’t enjoy it when I had to do it, and when I did it, I was naive and overly excited about my game. There are a lot of things around launch that I regret, or that I would do differently." He also talks about how bad the backlash became following release. Along with death threats, the studio was receiving threats of bombs being sent to its offices, and all sorts of horrific harassment. In fact, Hello Games was constantly in contact with Scotland Yard and the Metropolitan Police. Murray says "it was as bad as things can get... There’s a smorgasbord of things that the angry mob can do. It is a crowdsourced thing of how bad you can make someone’s life." The interview is well worth a read, as Murray speaks about the state of the game at launch, fan reception to updates, and much more. Click here to take a look. 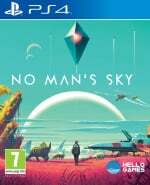 What do you think of No Man's Sky nowadays? Were gamers too harsh on Sean Murray and Hello Games? Are you looking forward to the Next update? Beam yourselves down to the comments below. Death threats? I despair sometimes. I really do. Man, whatever you put or don't put into your game, you don't deserve the kind of reception No Man Sky got at launch. Rethink you're life if you're getting upset over a 6/10 'indie' game. Please put that energy in fighting animal cruelty or something else important. "The internet is really good at knowing when somebody has made a mistake. It’s not necessarily the best at determining the most appropriate response, but it’s really good at knowing when somebody has messed something up." The truest words he's ever spoken. "He also talks about how bad the backlash became following release. Along with death threats, the studio was receiving threats of bombs being sent to its offices, and all sorts of horrific harassment. In fact, Hello Games was constantly in contact with Scotland Yard and the Metropolitan Police". Imagine how sad your life must be to do that over a video game. A lot of people who use the internet need professional help. Also, some jail time for starters. That’s terrible. I mean the complaining was justified, but death threats are not. People are messed up. They really are. I say if Hello Games have delivered on the promises of the original game, then good on them. These are people that have lives, bills to pay, kids to feed, etc, not just a bunch of robots that crank out entertaining distractions from life at the whimsy of the gaming community. Yes, the game was way overhyped, but they absolutely do not deserve the kind of treatment as described in the article. So, give them a chance people, they didn't cut and run with your money. As for the knobs that pretend to be gamers and threaten other people's lives... have a seat. Search yourself. Dig into whatever semblance of sanity you have. Is it worth it to do what you did? Do you see how stupid it makes you look? You threatened someone's life and livelihood over what amounts to a bunch of ones and zeros. Now put yourself in their position. Doesn't feel good, does it? It's ridiculous that people would send him death threats. Completely reprehensible and vile behaviour. However, he did tell bare-faced lies (not "mistakes") ahead of the game's release, so he's not above criticism. At least they're trying to make amends with all the free updates. It's great to see him address it, but bomb threats? Seriously? I'm surprised the press haven't got this and turned it into another "video games are evil" hit piece. If you're someone who thinks that's justified, do everyone a favor and faff off. The game was simply unfinished and the game didn't deliver what they promised. But there's no excuse for the way some people have behaved. death threats and other forms of abuse is the only form of "criticism" (if you can call it that) that the internet knows. sure telling lies is a terrible way to market your product and SHOULD be called out on,but making death threats and other stuff like that,should be equally called out aswell. those people should be traced down and if possible have their internet access taken away since they are clearly not fitted for such a service. Man oh man, death threats over a game? Seriously who are these people? While I think the launch of No Man's Sky was outrageous, I do admire their dedication in making it what they wanted it to be and I am close to tempted now. It is way to easy to threaten. The price is zero. It will not stop until the a***oles pay dearly. I am all for privacy and anonymity. This is a must. Then all bets are off and you need to be hunted down and brought to face the justice. But they sure deserved fans to be angry, not to this extent but they sure did some stupid things! If it was a missing feature well ok, one thing maybe they add later is fine! But they has a completely different game at launch...it was the worst marketing ever in a game! But yeah, people think that death threats are just like a small insult, they don't even think what they can do to the mental state of someone! @jdv95 one would hope, yet here we are. Also, I was paying close attention to what the game is and will be. I pre-ordered it and got exactly what I was expecting. Exactly. A few years later and I keep getting more from this game. No, I don't play it any longer (there are far too many great games that beg for my attention - Yakuza Zero says hello) but I will fire it up after the update and have a blast playing the game with my kids on multiple PS4s. We will probably enjoy the game for a bit longer than I thought we would, so I am thankful for the good work Sean and the team have put into it. Yeah no time for those idiots who post death threats. I didn't mind lack of multiplayer at launch tbh, I was fine doing my own thing. It just got too repetitive. I went back when they added bases and played for a good solid month. Definitely gonna boot it up again for this update. I echo the sentiments already shared here in the comments — I empathize with him regarding the utterly disgusting outlash which included threats and harassment. That’s ridiculous behavior and not acceptable. I have been critical of the game because it was somewhat less interesting at launch than I expected, but would never even consider complaining directly to the developer or harassing them. It’s just one of dozens and dozens of games I’ve purchased over the years that has disappointed. Getting carried away to the point of threats is asinine. On a separate but related note, I am very impressed that they have continued to support and update the game to make good on promises, but I also realize that although admirable, he’s not updating the game out of the goodness of his heart. He has an XboxOne release and needs to have a better launch experience there. What the hell is wrong with gamers, sending death threat because of butterfly and sending a frigging bomb threat?? Wtf! It's the internet, that was to be expected. I bet every dev gets them from time to time. Those are just terrible trolls, and I think it's best to ignore them and not give them the attention they want. So I think it's kinda unfortunate that he didn't talk more about why he promised things that weren't in the game, instead of the death threats. You know, addressing actual valid complaints. Because AFAIK there is still stuff in the original trailer that isn't even part of the new update. I wonder.. who or what was behind that original trailer? I liked a lot of stuff in No Man's Sky at launch. Sure some stuff wasn't in the final build that these guys said would be. The way the internet is nowadays, devs need to take extra care in what they say because people pick every little thing apart and overreact because of it. Man, just think of the back lash Star Citizen is going to get if the game doesn't promise everything they say. Feel bad for those guys. Unfortunately, it doesn't surprise me. The game was ripe for criticism as I'm sure Hello will be the first to acknowledge, but bomb plots and death threats... C'mon, get some perspective! It scares me that this kind of thing no longer shocks me, though. I mean, of course that was the outcome. Pathetic humans with Twitter accounts. Sony got greedy with this game. Started to market it as AAA the moment they realised how much the community hyped up the reveal. At that point though they should have brought on some sort of PR person on board rather than Murray who was clearly out of his depth dealing with the endless interviews and whatnot. Anyone who preordered this though at the price tag it was thinking that it was a AAA game was downright gullible though. Funny that most of the comments are quite understanding and compassionate. I remember that not being the case on here back in 2016, although fortunately it didn't go as far as death threats! I still say the gaming media were just as responsible for the huge expectations on this game, and then they went out of their way to cr*p all over it afterwards. I think anyone with realistic expectations about this game had a pretty good time with it. @Octane It's been a few years since all the interviews leading up to the game, so my memory is kind of vague on the subject, haha. Lots of pieces in this story that gamers everywhere should feel embarrassed about. Especially whichever buttnugget sent death threats over a lack of butterflies, and anyone like them. I'd hate to be standing behind the chap who sent in death threats over butterflies when he's in the supermarket and realises they're sold out of his favourite biscuits. As @get2sammyb notes, I hate that these stories don't surprise us any longer. Humanity is better than this, surely? Cry babies, the game was fine. People who are stay at home with mental stability issues on disability flock to games for something to do with all that free time. So I imagine Hello Games got 100's if not 1,000's of threats of some kind or another. That whole fake instant refund thing didn't help, many looked at it as a easy way to get money back. Steam had to refuse many request. PC players were asking even after playing NMS for over 100 hours. Doesn't justify death threats but this studio was very dishonest about their product. To be fair most death threats aren't actually credible, but the bomb threats and other stuff seem to be a bit more serious. It was always obvious to me what happened behind the scenes. HG had a game they were excited about and took the opportunity to show it at several big conferences. The first couple of trailers would have been vertical slices with the hope it would turn out like that. Then reality dawned where there was no way a lot of that stuff wasn't going to be in the game at launch. At least not without a two year delay, and people were already demanding a release date at this point (they got death threats for just delaying remember). So they probably panicked and didn't know how to handle the press and social media (tbh they badly needed a community manager). It's also worth remembering that HG are an indie studio in every sense of the word that means they were self financing and fighting to get exposure so when NMS blows up with everyone hyping it up to huge levels they got swept along with it, even though it would have been beneficial to keep people's expectations in check, like I say "an experienced community manager was needed". As for the multiplayer, I think they always intended for it to be there at launch (the version with the orbs as an avatar) but wasn't ready and was a last minute thing hence the relabelled collectors edition. But they gambled on no one been able to find each other before they added it, so when they were caught out, it just added to the toxicity. As for Sony's involvement? Well out of nowhere they had a bonafide system seller on their hands and grasped it, problem was HG wouldn't let the relationship go any further which could have meant more staff, fiance and better marketing but all HG wanted was to show the game at E3 and to keep full creative control. The price tag shouldn't have been an issue either, just because it's an indie game shouldn't mean they can't charge full price. Publishers and developers should always be allowed to price their product what they think it's worth. And we the consumers have the right to decide whether we think we're willing to pay it. Which is different compared to those that demanded it to be cheaper (see similar reactions to The Order 1886). At the end of the day No Mans Sky's launch is ultimately a cautionary tale now, where most struggled to come out of it with much credit. Where the devs had a product that blew up to unprecedented levels and didn't know how to properly communicate it, the press for the constant feeding of both the hype and toxicity for the sake of cheap clicks. And the consumers who let themselves get so lost with the hype that some thought the best thing to do was to harass the devs with death threats and calling on authorities to reprimand the studio for false advertising. Ultimately what was No Mans Sky? It's a procedural survival game in an entire universe. And that's what we got. I found the internet rage so odd, I wonder how many people getting angry even bought the game. I bought the game at launch and liked a lot about it. I did trade it in, but have just picked up a copy again pending this update, which I think looks great, and still have my save. I'm not going to continue to beat the dead horse that death threats are not ok, because obviously. "I was naive and overly excited about my game. There are a lot of things around launch that I regret"
While I don't think Murray is totally above criticism, because he and Hello Games way overpromised, he strikes me as a guy that overpromised to himself. He's not a PR guy, and he never was, and Sony kind of threw him to the wolves by hyping up the game, especially at E3, then marketing it like a AAA, and then backing way off. I wouldn't be surprised if there was more to the story, but Murray isn't going to point fingers. There's no point now, he doesn't want to damage potential or existing business relationships, and he's clearly learned his lesson about being in the public eye. Still, I think the whole fiasco should be water under the bridge at this point. They've spent two years vastly improving a game that is still widely viewed as both a flop and a failure when they could have just taken the money and run. It's time to stop using NMS as the gaming community's whipping boy. It's not a relevant criticism anymore in my opinion, even if it is or was deserved. @sonicmeerkat Cool, and now make a list of everything that was in at launch. Death threats?! Sheesh, fellow gamers! At the end of the day it's only a video game we're talking about here. No matter what was promised and how the game eventually was, this kind of stuff makes me want to separate myself from the rest of the game-loving audience and is totally unacceptable. I honestly think they always wanted to make a good game and that's what NMS is nowadays. If all they wanted were to mislead people while making a couple of dollars they would have made a whole different game. Everything about NMS is love for what they do. O.k, so he made himself a millionaire by selling a game based on lies and now probably has more money than most of us will ever see in our lives... how is he the victim? @Incognito_D I paid $60 for this game. It’s not free.